I went on a tour of Cameroon’s major cities. These elections are crucial. 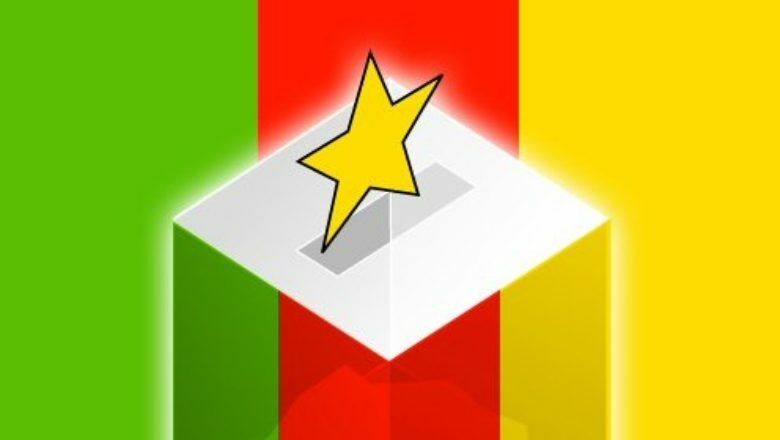 In a matter of days, Cameroonians will go out to vote, or at least they will go through the motions of voting against Paul Biya who has been in office for the past 36 years. Thankfully, this time around, the world is paying attention. Unfortunately, as always, the world is only paying attention because the carnage and bloodletting that the government has unleashed on its citizens increasingly over the past many months has now reached dramatic levels. The media finally secured video proof of this terrible decimation last month — but everyone who has paid attention to Cameroon could see it clearly. In May, I went on a tour of Cameroon’s major cities — Douala, Beau and Yaounde — both teaching hundreds of its citizens about the principles of maintaining well being and resilience and speaking about democracy and nation building, but there was very little joy anywhere, and very little hope. I had barely landed in the quiet town of Beau when one of my hosts told me her husband was caught in what she called a “war” — the government had declared full scale aggression on citizens who have had enough of living like second hand citizens in their country, she informed me. Beneath the veneer of normalcy in certain parts, people were living in fear, taut in the understanding that their nation was not only at war but it appeared that at any moment, it could implode. The origin of the war by the state against its citizens is as mindless as the violence it has unleashed. As a relic of its colonial past, the Francophone country that has a prominent Anglophone minority but is divided by language. Biya, a fine true student of colonial oppression has consolidated his autocratic rule by exploiting this divide. In 1961, both parts of the country, run by the French and the British, were unified, whilst the Anglophone areas retained autonomy. 11 years after they were united, the majority French-speaking section gained control of the country. A record of marginalization followed almost immediately. This present iteration of a compounding crisis began in 2016 as Biya’s government began to crack down on peaceful protests demanding that directives enforcing French as the sole language of education and government even in the English-speaking areas of the country be withdrawn. Internet access was revoked in response, just one more step in the systematic marginalizing of English speakers and the English speaking parts of the country. The 85-old dictator, who has maintained a grip on power through often blatant electoral fraud, while watching his oil-dependent country descend into anarchy, could care less. He has after all sat pretty while overseeing an economy where about 50 percent live below the poverty line and a country ranked 151st on the Human Development Index. The government is corrupt, and its public services are famously inefficient. But it is the despair that you see on the roads of this beautiful nation that would break your heart. It is perhaps most exemplified in the incredibly low amount of entrepreneurial activity, and underscored by the refusal of a majority of its citizens, especially its young, to participate in sham electoral processes. Biya has hollowed Cameroon out. With eyes only on winning the elections on 7 October, he has unleashed thousands of soldiers onto its streets, killing many (at least 400 civilians this year alone) and displacing hundreds of thousands, sponsoring pro-government militia, and cracking down on civil society and the press. This man has done too much damage, and not just with the lives his government has taken. He has stolen the hopes of his nation’s youth, made it impossible for them to dream, and limited the scope of their possibilities. If he wins an eighth term in office, which he seems set to do, nothing will change — except for the worse — and more will die as his grip on power, in the face of sustained citizen rejection, becomes more tenuous. For the sake of the future, this disaster has to end.